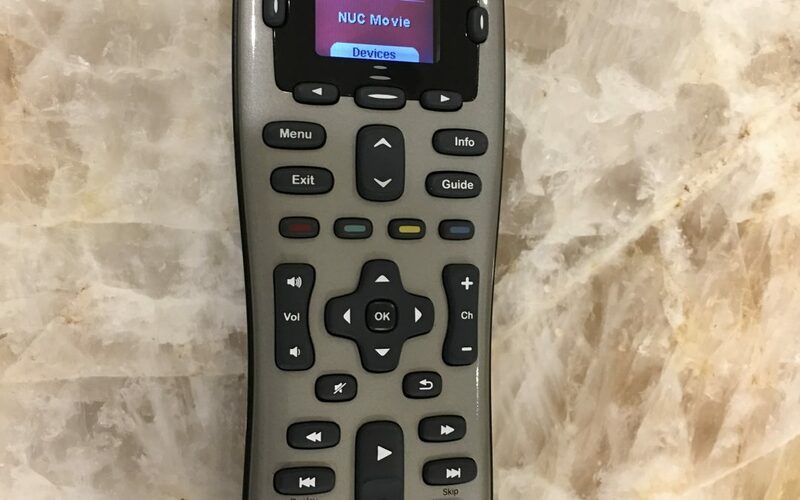 Universal remotes offer a quick, easy way to sync and operate many different electronic devices with just one remote control. When it comes to streamlining the process of engaging with your equipment, universal remotes are a fantastic tool. It’s for this reason that these remotes have been gaining popularity over the past few years – but for the average layperson, there are now so many options for universal remotes that it can be hard to decide which one to actually buy. As an A/V enthusiast, I spend much of my free time trying out interesting new products to find out which model of each device is the best on the market. In the case of universal remotes, I’m a big fan of the Logitech Harmony 650 – here’s why. The Logitech Harmony 650 Universal Remote is a game changer. Here’s why. For one thing, the Logitech Harmony is relatively inexpensive when compared to other high end remotes. Ranging between $60-$70, it provides a cost-effective alternative to more expensive models and it still controls every device I have tested it on without any problems. Something else I really like about the Harmony is that the programming for this remote is done through your computer. Using Logitech’s software, you choose the equipment that you’d like to use the remote to control and customize exactly how. There are setup wizards which guide you through the process, allowing you to program your remote to allow you to do things like watch your Apple TV with the sound from your stereo. Once you’ve finished setting your remote up, with the mere push of a singular button, your remote will turn the TV on, set the correct input, turn the stereo or AVR on and set the input, and turn on your Apple TV, all at the same time! Then, moving forward, your universal remote will always act as your Apple TV remote. It also bears mentioning that this remote has actual buttons, which I love because honestly, who wants to light up a screen and search for a button during a movie? I have tried many universal remotes, and because this one is inexpensive, easy to program, very durable and very intuitive, the Logitech Harmony 650 is my favorite of them all (even among the Harmony options, like the 700, which is the same remote with rechargeable batteries, but I only need to replace the batteries in my 650 every 18 months or so). If you decide to buy a universal remote, this is my top pick for which one to get!